Looking to buy some boric acid but still unsure? You’ve come to the right place. Below is a list of all the questions we’ve received about our boric acid powder from our customers. Hopefully they’re of help to you. If you have a question which is not on this list, please email us at sales@boricacid.net.au. We use PayPal to process our payments, but you don’t need a PayPal account to purchase. We accept Visa, MasterCard and PayPal. Visa and MasterCard transactions are processed through PayPal and you do not need to sign up to PayPal to use this. Why don’t your PayPal buttons work? There are PayPal icons on our checkout pages but they’re not clickable. If you click the Submit button on our website we will redirect you to PayPal. All information regarding delivery costs and shipping is available on our shipping policy page.. Yes we do. It is available for download further down this page. What’s the purity of your boric acid? The purity of our boric acid is 99.5%. This is a “technical grade” and is suitable for general household use. You can get a higher purity but for the uses we recommend it’s not really necessary. It’s also extremely expensive. What’s the concentration of boric acid in water? The amount of boric acid dissolved in water depends on the temperature of the water. This table below gives the maximum weight of boric acid that can be dissolved for every 100g of water. 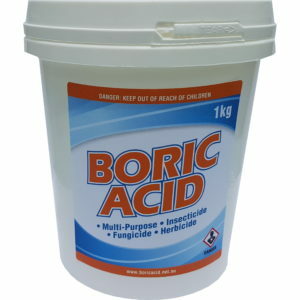 What can I use boric acid for? 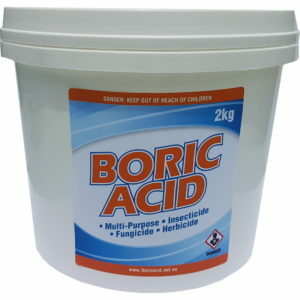 Check out our uses of boric acid page for some great ideas and how to guides. 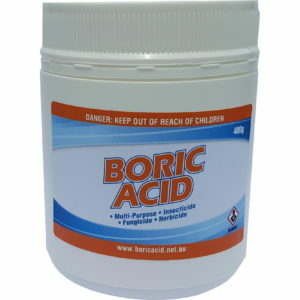 How can use boric acid safely? 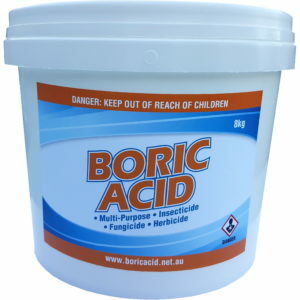 We have put together a complete guide to being safe with boric acid. 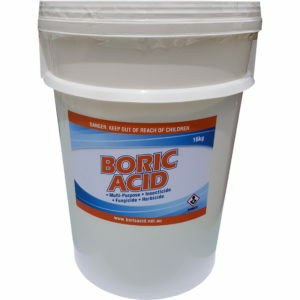 How do I store the boric acid once it arrives? All our boric acid products are packaged in self standing, resealable, commercial grade pouches that are vacuum sealed. It will keep for years like this and you can store it anywhere and any way you’d like. Just remember to keep it out of reach of children. There’s a tear nick at the top, just below the vacuum seal, so you can easily open the pouch by hand. Once opened, expand the base to make it self-standing. There’s a zip lock at the top to keep the contents safe in case you knock the pouch over. It also keeps it air tight to prolong its life. You do not need a separate container. Our product is an all-in-one solution. Where should I store my boric acid? I keep mine on the top shelf of my laundry cupboard, just next to my washing powder. That way I know my children cannot reach it, while still making it easily accessible for me. What if I my question is not in this list? 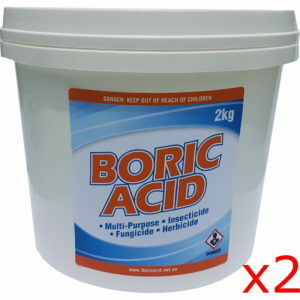 Please send us an email at sales@boricacid.net.au and we’ll get back to you as soon as possible.